Don't assume for one moment that a 'Show Dog' is some strange breed of animal that struts along a canine catwalk, wins amazing amounts of prize money, is worth thousands of pounds and eats from gold plated dog bowls. You will be surprised to know that the majority of dogs that are shown in this country are family pets and live in their owner's homes along with several other canine companions. It could be that the owner has just ventured into the dog showing hobby after being told their much-loved family pet is a good example of the breed and they ventured into the exciting hobby gradually. There again the family could have decided that the particular breed was right for them and purchased their puppy from a breeder who encouraged them to dip their toes into the dog show game! Whatever the reason for owning a show dog, he or she will be as treasured just like any other family pet and should be treated exactly the same. If you are considering purchasing a dog your main concern is that you can afford to feed and care for your pet for the next twelve years, possibly longer. So stop and think for one moment - where do you expect to be in twelve years time? If you are considering backpacking around the world or entering a career which takes you away from home for long periods, perhaps the time is not yet right for a dog in your life. None of us know how our health will be over the coming years but if anything should happen to you who will be responsible for your dog? Do not expect your family to take on your commitments, they have their own lives to lead and that may not include room for a dog. A 'Godparent' For Your Dog? You could be in the middle to late years of your life and long for a dog to take up the hobby of dog showing. With so many people taking early retirement, dog showing can be an excellent way to see the country and be out in the fresh air. Why not consider a 'godparent' for your dog? Speak to your breeder they may be able to introduce someone to you that could step in and help. This person should be known to your dog and be available to take over and look after your beloved canine friend if one day you are no longer able to do so. Make a proviso in your will that states your wishes for your pets if anything should happen to you, and remember to inform your family and legal advisor of your wishes. The majority of dogs are exhibited at major dog shows for just a few years of their lives. 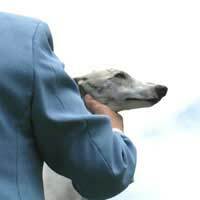 After the serious competition days are over you may wish to breed from your dog or perhaps compete on a more fun level at Companion Shows, many of which raise money for charity. Apply to be a volunteer along with your canine friend by working with Pets As Therapy ( PAT dogs) who visits hospitals and care centres so that people who are no longer able to own their own dogs can still make contact with our furry friends and remember times with their own pets. If your dog is still fit and active you may venture into the sport of agility, obedience or flyball, the choice is large. Whatever you decide to do once show days are over your dog will become a family friend, a constant and loyal companion for the rest of their lives.